Things have been VERY busy around here so pardon me for not posting in a while. This week I will take advantage of this opportunity to not only enlighten you with brainy type stuff but also drop a Father's Day hint (woohoo!). 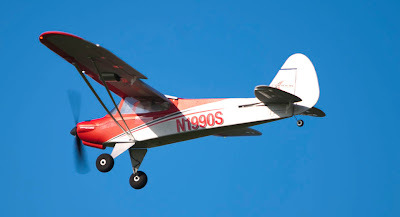 This week's topic is gyro stabilization for RC airplanes. A gyro counteracts the effects of wind forces keeping a plane flying in the pilot's intended path (flies as if there is no wind- ideal condition). These are installed in series with the servo that controls a particular control surface (elevator for pitch/rudder for yaw/ailerons for roll). 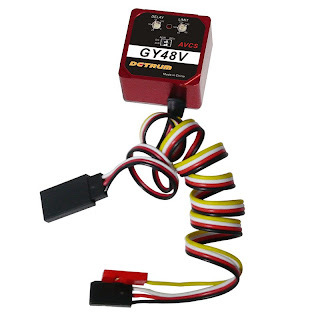 As the wind pushes a plane in a certain direction the gyro will sense this and actuate that particular servo to move the plane back till no more change in direction is detected. I purchased a Detrum GY48V (pictured above) for the HZ Super Cub for use with the elevator. 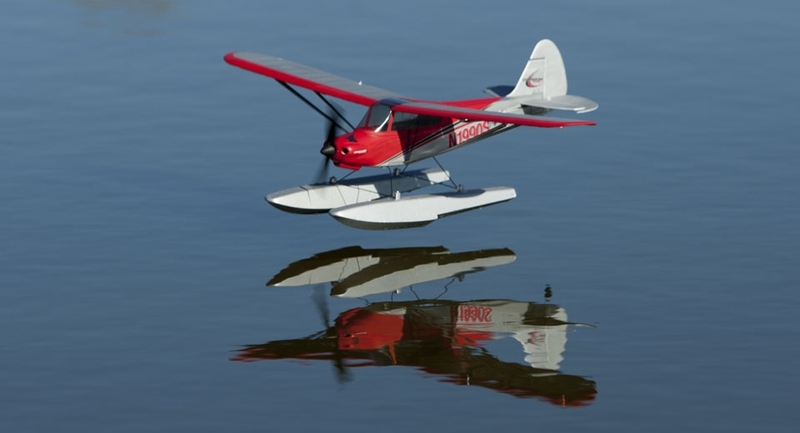 After some thought I figured out how to mount 2 of them to take care rudder and elevator duties (the Super Cub is only a 3ch plane so no aileron). This is on my personal fun "to do" list. I'll report back once installed and evaluated. 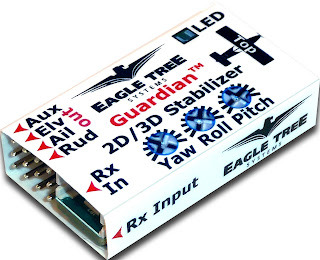 An alternative to purchasing 3 individual gyros is to get an Eagle Tree Guardian 2D/3D stabilizer. This little unit contains all 3 axis gyros in a neat and attractive (IMHO) package. This would be the way to go if I had a larger "full house" plane (Fun Cub comes to mind). At $75 it's a little more than purchasing 3 separate gyros (not by much) but the size and completeness of it is worth the extra coin. Now...if I were to be asked what I wanted for Father's Day I would have to say the new UMX Carbon Cub SS BNF with AS3X Technology by E-flite. The Carbon Cub comes equipped with rudder/elevator/ailerons/flaps/nav and landing lights (pre-installed)/brushless outrunner and AS3X. AS3X stands for "artificial stabilization 3 axis" which is fancy speak for what we talked about above. 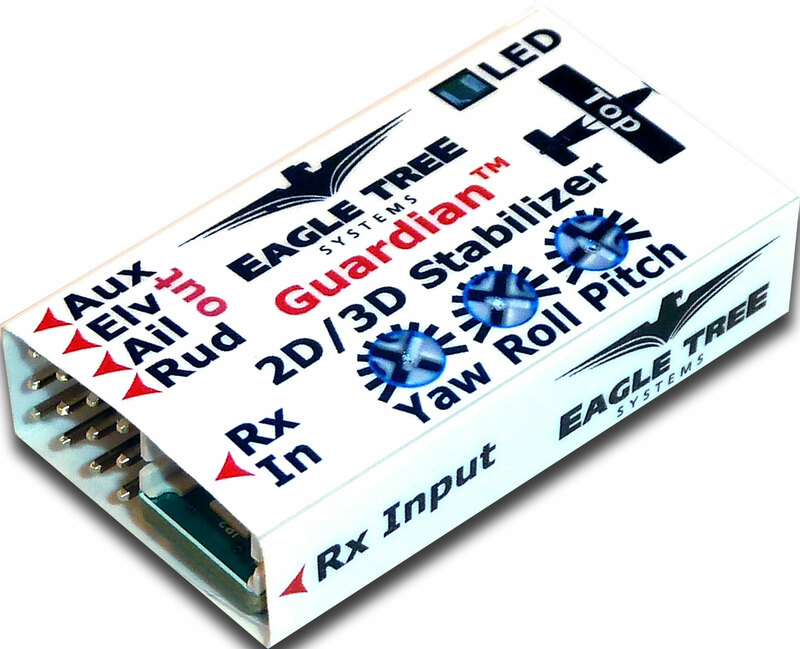 What E-Flite managed to do was pack 3 gyros onto a small circuit board. 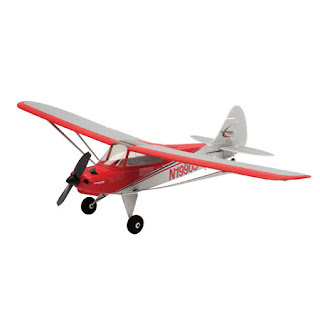 The advantage is that it allows the smaller micro planes to fly better in moderately windy conditions. This should be a fun park flier. Expect a full report after Father's Day (wink wink nod nod).